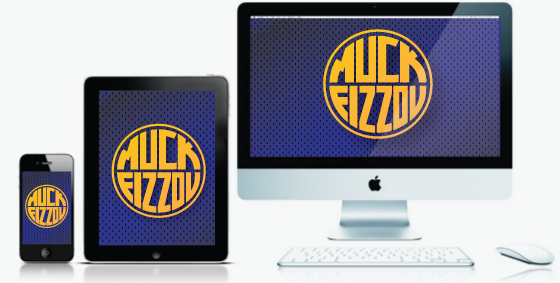 Muck Fizzou | Your one stop anti-mizzou shop. Your one stop anti-mizzou shop. Another season of great Mizzou expectations met by resounding failure. Quarterbacks are apparently very impressionable position players. Three QB’s have been arrested in the off-season after Mizzou’s head coach Gary Pinkel was arrested for a DUI last season. Mizzou thinks they are going to steamroll to SEC, but history proves other wise. Let the world know how you feel about Mizzou invading your conference. Grandpa Simpson Hates Missouri Too! There is a certain clarity gained by lifetime of experience. In this clip Grandpa Simpson imparts some knowledge on his family while dissing Missouri. What better way to tell Missouri they are not welcome in the SEC? 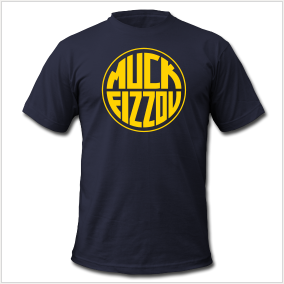 Muck Fizzou shirts come in all shapes and sizes because you don’t have to be from Arkansas to hate Missouri. 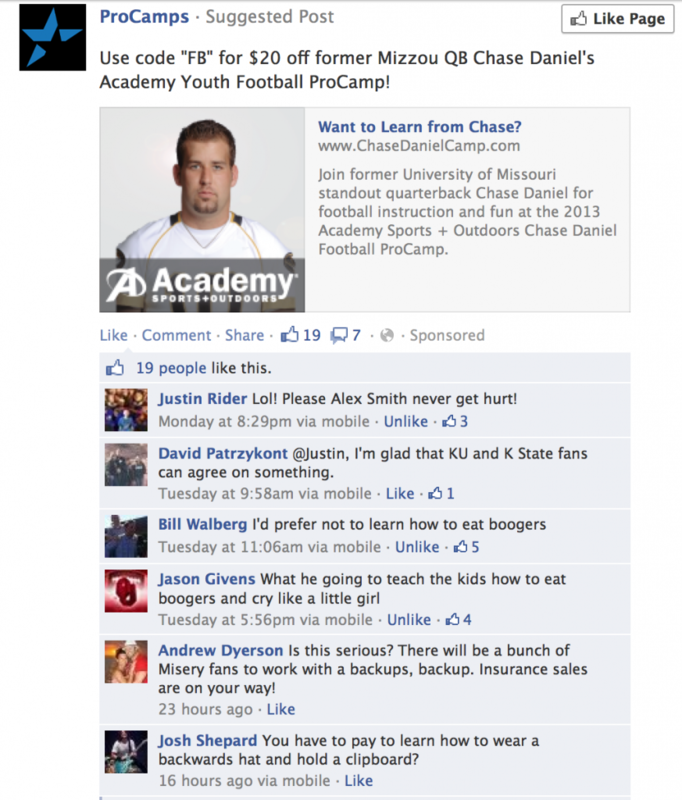 Chase Daniels ad for his skills camp is met with sarcasm from local fans. Chase Daniels time spent as an NFL back-up have apparently done nothing to enhance his legacy in the Kansas City area. When a Facebook ad was posted for his ProCamp local fans responded with nothing but derision. Mizzou first baseman Gavin Stark is not having a very good season. The Lee’s Summit native has started just four games (down from 17 the previous year), and he’s hitting just .091. And now he has been suspended from the team and is facing felony charges after allegedly going a little nuts Monday night. A witness told the MU Police Department that the witness was sitting near Reynolds Alumni Center on campus when Stark approached him. The ballplayer allegedly threw the witness’s laptop on the ground and began trying to punch him. The MUPD says that after the punches failed to land, the infielder picked up a rock and threatened the witness, who ran from Stark. Then Stark allegedly got weirder. Police say he used the rock to smash a window in the alumni center and climb through the broken glass into a room that had been set up for a meeting. According to The Columbia Missourian, Stark than broke and damaged “lamps, lamp shades, tables and coffee cups” before police arrived on the scene. MUPD Chief Brian Weimer told the paper that the first baseman “assumed a fighting stance and started yelling profanities at the officers.” After a short chase, officers arrested Stark. Stark, 22, faces charges of felony burglary, resisting arrest (another felony) and property damage. Weimer told the paper that officers believe Stark was intoxicated at the time of his arrest. With this kind of behavior it is rumored that head football coach Gary Pinkel is looking to offer Stark a spot on the team. It’s tradition at MU to greet great expectations with mediocre results. The second season with Frank Haith at the helm was even more disappointing than Mizzou’s first round exit to a #15 seed in last year’s NCAA Tournament. Some solace can be taken in this year’s first round exit in that they were playing and 8/9 game, but could not hide the fact that the Tiger’s struggled to win in a much easier conference than their previous home. They finished 6th in the SEC which received just three invites to the NCAA Tournament. Even worse was their inability to win on the road as evidenced by their 2-8 record in true road games. The graphic above illustrates just how Frank Haith was able to take the high expectations built on a bevy a talented transfers and run it into the ground.